Stefan Warschawski was born in Lida, a city which alternated between being in Poland or Russia. At the time that Warschawski was born, Lida was part of Russia but reverted to Poland in 1919. Despite the fact that the city was controlled by either Russia or Poland, the Warschawski household were German speaking. However, when the German armies attacked Lida in 1915 during World War I, his family left the city and went to live in Königsberg where mother's parents lived. It was in Königsberg that he attended the gymnasium, graduating in 1924. After completing his studies at the gymnasium, Warschawski entered the University of Königsberg. There he was taught by Knopp and Rogosinski. After two years of study he moved to Göttingen to study for his doctorate. Although the university was staffed by leading mathematicians like Landau, Courant, and Herglotz, whose courses he took, it was Alexander Ostrowski, at that time a privatdozent, who supervised Warschawski's research. Ostrowski had taken up the position in Göttingen in 1923 but when Warschawski began his studies in 1926 he had just returned from a year of study in Britain at the universities of Oxford, Cambridge and Edinburgh. He had not been supervising Warschawski for long when he was offered the chair of mathematics at the University of Basel. Warschawski moved to Basel with his supervisor and there completed working on his thesis on the boundary behaviour of conformal mappings. After the award of his doctorate Warschawski was offered a position back at Göttingen and he returned there to start teaching courses in session 1930-31. On 30 January 1933 Hitler came to power and on 1 April there was the so-called "boycott day" when Jewish shops were boycotted and Jewish lecturers were not allowed to enter their university. On 7 April 1933 the Civil Service Law provided the means of removing Jewish teachers from the universities, and of course also to remove those of Jewish descent from other roles. All civil servants who were not of Aryan descent (having one grandparent of the Jewish religion made someone non-Aryan) were to be retired. Warschawski realised that he could not make a career in Germany and he was helped by Julius Wolff to obtain a one year post at the University of Utrecht in Holland. At the end of that time, again with Wolff's help, he obtained a one year position at Columbia University in New York. Warschawski was immensely grateful to Wolff for helping him to escape from the Nazis, but Wolff himself suffered the fate he helped others avoid for he died during the Nazi occupation of the Netherlands. In the United States at this time it was not easy to obtain permanent posts. Many top class mathematicians had fled to the united States from the Nazi threat in Europe and there were not enough positions available. Warschawski published a major 30 page paper On the higher derivatives at the boundary in conformal mapping in the Transactions of the American Mathematical Society in 1935 but had to move from one short term post to the next until he was offered a permanent position in 1939 at Washington University in St Louis. A colleague interested him in the method of computing mappings by successive approximation and he soon was able to prove the necessary convergence theorems to put the method on a firm theoretical basis. 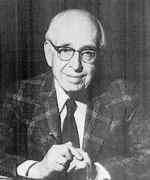 He published The convergence of expansions resulting from a self-adjoint boundary problem in the Duke Mathematical Journal in 1940, jointly with A S Galbraith, which studied a problem of the Riesz-Fischer type concerning the expansion of a function with n derivatives in terms of the characteristic solutions of a self-adjoint boundary value problem of the second order. Before World War II ended he joined the Applied Mathematics Group at Brown University. Loewner also joined the group in 1944 to study problems with military applications. Bergman, also forced to leave Nazi Germany, was on the faculty at Brown when Warschawski joined, as was Bers who was also undertaking research relevant to the war effort. After a year at Brown, Warschawski moved to the University of Minnesota and in March 1947 he married Ilse Kayser. He continued to undertake research on conformal mapping publishing On conformal mapping of regions bounded by smooth curves in 1951. In 1955 he published two papers in Experiments in the computation of conformal maps published in the National Bureau of Standards Applied Mathematics Series. The first was a single author paper On the solution of the Lichtenstein-Gershgorin integral equation in conformal mapping. I. Theory while the second, On the solution of the Lichtenstein-Gershgorin integral equation in conformal mapping. II. Computational experiments, was written jointly with Jack Todd. The computational results of iterating obtained in the second paper were in good agreement with the theoretical results given in the first. Warschawski was appointed chairman of the Mathematics Department in the Institute of Technology at the University of Minnesota in 1952 and was highly successful in building the Department over the following eleven years. In 1963 he moved to the La Jolla campus of the University of California San Diego. He was chairman of the Department of Mathematics from 1963 until 1967 when ill health forced him to give up the Chairmanship. He retired in 1971 but continued to teach courses at the University of California San Diego as well as at San Diego State University where he was a Distinguished Visiting Professor in 1972-73. Steve Warschawski lived among the top mathematicians of two continents. With careful scholarship, he made lasting contributions to the theory of complex analysis, particularly to the theory of conformal mappings. With keen judgment, he guided two mathematics departments to eminence. With modest gratitude, he cemented many friendships along the way.